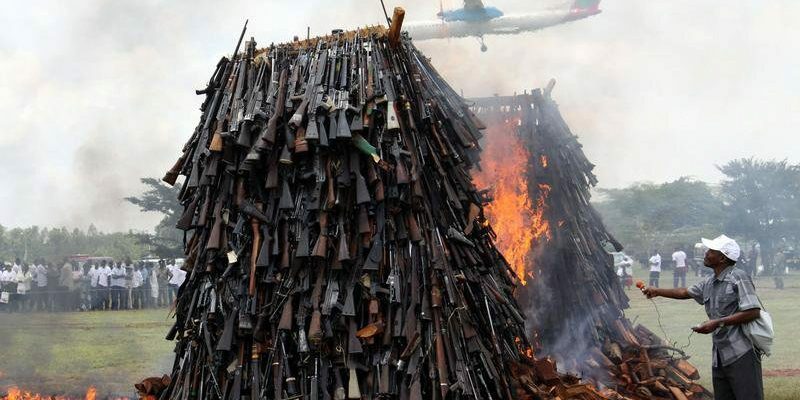 The UN will convene its final conference on the Arms Trade Treaty (ATT) in March of this year. The conference, which caps nearly two decades of negotiations on global arms trade regulations, represents a crucial opportunity to address the prevention of gender-based violence in armed conflict as a key component of the disarmament process. “Disarmament is an incredibly complex activity, yet its goal is clear. In its strictest sense, it means the physical destruction or elimination of particular types of weaponry. Efforts short of elimination – including various confidence-building measures, limitations on range or yield, reductions in numbers, or rules for the conduct of tests – are more appropriately called “arms control”. Cambodia and Lebanon have engaged in extensive demining operations for decades. In the past few years, however, these post-conflict states, along with countries more recently emerged from civil war like Sri Lanka and South Sudan, have introduced all-female demining teams in an effort to develop and expand their mine action programmes. NGOs like the UK-based Mines Advisory Group and the Norwegian People’s Aid Mine Action have increasingly employed women to detect and clear mines and other Explosive Remnants of War (ERWs). This chance has occurred since the UN Mine Action Service (UNMAS) formulated a plan to mainstream gender in mine action in 2005. The Global Forum for General and Complete Disarmament 2013, is organised by the Strategic Concept for the Removal of Arms and Proliferation “SCRAP”. SCRAP is located at the Centre for International Studies and Diplomacy [CISD] in the School of Oriental and African Studies [SOAS], London. CISD Research Associate Martin Butcher was quoted in a New York Times article on gun control and the UN Arms Trade Treaty. CISD Director, Dan Plesch, was recently interviewed by former CISD student David J. Franco, Co-Editor of InPEC and CISD Research Assistant. In the two part interview Dr. Plesch discussed disarmament and SCRAP, a project and proposal for the adoption of an international legally binding agreement on general and complete disarmament. In January 2009 Dr Plesch was asked to present the SCRAP proposal to the UK Parliament’s Foreign Affairs Committee inquiry into “Global Security: Non-Proliferation”. Read the full submission. Read an article in Open Democracy by David Franco, CISD Research Assistant and project coordinator of the CISD SCRAP project, on global military spending with a view to the forthcoming Global Day of Action on Military Spending (GDAMS) on 17 April 2012.